Come and join us for a Hypnobirthing Workshop Lincoln Lincolnshire where you will discover everything you need to know for a positive birth. Join us for four hours of hypnobirthing essentials covering the tools and techniques for a calmer, more comfortable, positive experience of birth in Lincoln Lincolnshire. I recommend you come around 20-34 week, the earlier the better as it will give you time to consolidate your learning and get to grips with your new found knowledge. (birth partners are welcome). 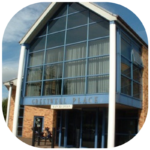 Location: You will find us at Greetwell Place, Lime Kiln Way, Lincoln, LN2 4US. Practically opposite the hospital. There is a free car park.